To be a world class program, where we will be provide an exceptional educational experience. Shridevi Institute of Para Medical Science strives to offers its student most comprehensive and quality education. The institute is affiliated to the Rajiv Gandhi University of Health Sciences, Bangalore and Paramedical Board, Bangalore. The Institute is Recognised by Government of Karnataka. Courses offered by institute are approved by Government of Karnataka, Directorate of Medical Education, Bangalore. 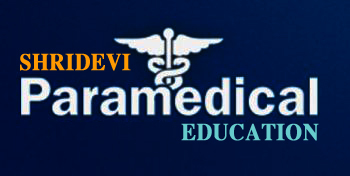 Spotting the hugely expanding need for paramedical service personnel, Shridevi Group initiated the Institute of Paramedical Sciences, to create efficient, dedicated and service-inspired generation of paramedical personnel, equipped with knowledge, passion and practice. The institute focuses on delivering high quality, comprehensive, integrated education in laboratory technology, based on innovations and newer approaches in modern technology and research. We provide the finest infrastructure and facilities to our students enabling their learning. Considering the importance of diagnostic services, Shridevi promotes a spirit of charity, service and understanding in its students, with the primary purpose of improving patient safety and promoting rural community health.